Peru has a great geographical diversity, which allows doing adventure sports like surfing, sand boarding, 4x4, climbing, rafting, rappel, rally, trekking, skiing, kayak, etc. In each region visitors will find numerous activities adapted to their particular climate and environment. Organos, located in Talara – Piura. Cabo Blanco, also located in Talara and which has one of the most perfect tube waves. And Lobitos, that in 2009 became the place that saw Sofia Mulanovich win the women's world surfing competition. 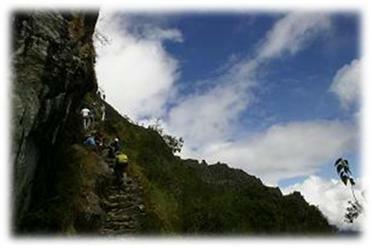 Trekking is another favorite activity of many national and foreign tourists who choose the option of the Inca Trail, a famous route for several days which ends with the visit to Machu Picchu. The skiing is developed in the city of Huaraz, and in the popular Ica’s sand dunes is very common to practice sand board.